Distribution of atheists, agnostics, and freethinkers in Nobel Prizes between 1901-2000. 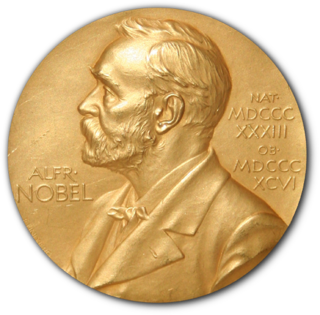 This list comprises laureates of the Nobel Prize who self-identified as atheist, agnostic, freethinker or otherwise nonreligious at some point in their lives. Many of these laureates were identified with a religion earlier in life. Harry Kroto, joint recipient of the 1996 Nobel Prize in Chemistry. Paul Delos Boyer was an American biochemist, analytical chemist, and a professor of chemistry at University of California Los Angeles (UCLA). He shared the 1997 Nobel Prize in Chemistry for research on the "enzymatic mechanism underlying the biosynthesis of adenosine triphosphate (ATP)" with John E. Walker, making Boyer the first Utah-born Nobel laureate; the remainder of the Prize in that year was awarded to Danish chemist Jens Christian Skou for his discovery of the Na+/K+-ATPase. Sir John Warcup Cornforth Jr., AC, CBE, FRS, FAA was an Australian–British chemist who won the Nobel Prize in Chemistry in 1975 for his work on the stereochemistry of enzyme-catalysed reactions, becoming the only Nobel laureate born in New South Wales. Friedrich August von Hayek, often referred to by his initials F.A. Hayek, was an Anglo-Austrian economist and philosopher best known for his defence of classical liberalism. Hayek shared the 1974 Nobel Memorial Prize in Economic Sciences with Gunnar Myrdal for his "pioneering work in the theory of money and economic fluctuations and [...] penetrating analysis of the interdependence of economic, social and institutional phenomena". Hayek was also a major social theorist and political philosopher of the 20th century and his account of how changing prices communicate information that helps individuals co-ordinate their plans is widely regarded as an important achievement in economics, leading to his Nobel Prize. Reinhard Justus Reginald Selten was a German economist, who won the 1994 Nobel Memorial Prize in Economic Sciences. He is also well known for his work in bounded rationality and can be considered as one of the founding fathers of experimental economics. Jean-Paul Sartre, recipient of the 1964 Nobel Prize in Literature. Bjørnstjerne Martinius Bjørnson was a Norwegian writer who received the 1903 Nobel Prize in Literature "as a tribute to his noble, magnificent and versatile poetry, which has always been distinguished by both the freshness of its inspiration and the rare purity of its spirit", becoming the first Norwegian Nobel laureate. Bjørnson is considered to be one of The Four Greats among Norwegian writers, the others being Henrik Ibsen, Jonas Lie, and Alexander Kielland. Bjørnson is also celebrated for his lyrics to the Norwegian National Anthem, "Ja, vi elsker dette landet". 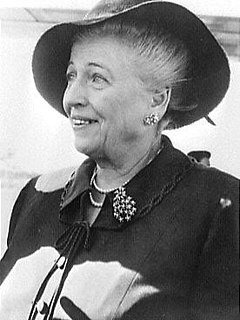 Pearl Sydenstricker Buck was an American writer and novelist. As the daughter of missionaries, Buck spent most of her life before 1934 in Zhenjiang, China. Her novel The Good Earth was the best-selling fiction book in the United States in 1931 and 1932 and won the Pulitzer Prize in 1932. In 1938, she was awarded the Nobel Prize in Literature "for her rich and truly epic descriptions of peasant life in China and for her biographical masterpieces". She was the first American woman to win the Nobel Prize for Literature. Sir Ralph Norman Angell was an English Nobel Peace Prize winner. He was a lecturer, journalist, author and Member of Parliament for the Labour Party. Klas Pontus Arnoldson was a Swedish author, journalist, politician, and committed pacifist who received the Nobel Peace Prize in 1908 with Fredrik Bajer. He was a founding member of the Swedish Peace and Arbitration Society and a Member of Parliament in the second Chamber of 1882-1887. Philip Warren Anderson is an American theoretical physicist and Nobel laureate. Anderson has made contributions to the theories of localization, antiferromagnetism, symmetry breaking, and high-temperature superconductivity, and to the philosophy of science through his writings on emergent phenomena. Criticism of atheism is criticism of the concepts, validity, or impact of atheism, including associated political and social implications. Criticisms include positions based on the history of science, findings in the natural sciences, theistic apologetic arguments, arguments pertaining to ethics and morality, the effects of atheism on the individual, or the assumptions that underpin atheism. Some movements or sects within traditionally monotheistic or polytheistic religions recognize that it is possible to practice religious faith, spirituality and adherence to tenets without a belief in deities. People with what would be considered religious or spiritual belief in a supernatural controlling power are defined by some as adherents to a religion; the argument that atheism is a religion has been described as a contradiction in terms. Accurate demographics of atheism are difficult to obtain since conceptions of atheism vary across different cultures and languages from being an active concept to being unimportant or not developed. In global studies, the number of people without a religion is usually higher than the number of people without a belief in a deity and the number of people who agree with statements on lacking a belief in a deity is usually higher than the number of people who self-identify as "atheists". According to sociologist Phil Zuckerman, broad estimates of those who have an absence of belief in a deity range from 50 to 75 million people worldwide. Other estimates state that there are 200 million to 240 million self-identified atheists worldwide, with China and Russia being major contributors to those figures. According to sociologists Ariela Keysar and Juhem Navarro-Rivera's review of numerous global studies on atheism, there are 450 to 500 million positive atheists and agnostics worldwide, with China having the most atheists in the world. Atheism and agnosticism have a long history in India and flourished within the Sramana movement. Indian religions like Jainism, Buddhism and certain schools of Hinduism, though not all, consider atheism to be acceptable. India has produced some notable atheist politicians and social reformers. According to 2011 Census of India, 99.76% of Indians identified with a religion while 0.24% did not state their religious identity. According to the 2012 WIN-Gallup Global Index of Religion and Atheism report, 81% of Indians were religious, 13% were non-religious, 3% were convinced atheists, and 3% were unsure or did not respond. ↑ Shalev, Baruch Aba (2003). "Religion of Nobel prize winners". 100 years of Nobel prizes. New Delhi: Atlantic Publishers & Distributors. pp. 57–59. ISBN 9788126902781. 1 2 3 4 5 6 7 8 9 10 11 12 13 14 15 16 17 18 19 20 21 22 Kimball, John (2015). Physics Curiosities, Oddities, and Novelties. CRC Press. p. 323. ISBN 978-1-4665-7636-0. ↑ Boyer, Paul D. (March 2004), "A Path to Atheism", Freethought Today, Freedom From Religion Foundation, 21 (2), retrieved March 16, 2010. ↑ Kroto, Harold (2015). "Sir John Cornforth ('Kappa'): Some Personal Recollections". Australian Journal of Chemistry. 68 (4): 697–698. doi:10.1071/CH14601. ↑ Perrin, Francis (2008). "Joliot, Frédéric". Complete Dictionary of Scientific Biography. 7. Detroit: Charles Scribner's Sons. p. 151. Raised in a completely nonreligious family, Joliot never attended any church and was a thoroughgoing atheist all his life. ↑ Perrin, Francis (2008). "Joliot-Curie, Irène". Complete Dictionary of Scientific Biography. 7. Detroit: Charles Scribner's Sons. p. 157. Retrieved 16 October 2015. It was to her grandfather, a convinced freethinker, that Irène owed her atheism, later politically expressed as anticlericalism. ↑ "Herbert Hauptman". The Telegraph. 27 Oct 2011. Retrieved 15 October 2015. Outside the field of scientific research, he was known for his outspoken atheism: belief in God, he once declared, is not only incompatible with good science, but is "damaging to the wellbeing of the human race." ↑ Cardellini, Liberato (October 2007). "Looking for Connections: An Interview with Roald Hoffmann" (pdf). Journal of Chemical Education. 84 (10): 1631–1635. doi:10.1021/ed084p1631 . Retrieved 15 October 2015. atheist who is moved by religion. ↑ Harold W. Kroto (1996). "Harold Kroto – Autobiography". Nobelprize.org, The Official Web Site of the Nobel Prize . Retrieved March 24, 2012. I am a devout atheist – nothing else makes any sense to me and I must admit to being bewildered by those, who in the face of what appears so obvious, still believe in a mystical creator. ↑ "Peter Mitchell – Biographical". The Nobel Prize in Chemistry 1978. Nobelprize.org. Retrieved 15 October 2015. 1 2 Pauling, Linus; Ikeda, Daisaku; Gage, Richard L. (1992). In quest of peace and the century of life : a dialogue between Linus Pauling and Daisaku Keda. Boston: Jones and Bartlett Publishers. pp. 21–22. ISBN 978-0-86720-278-6. ↑ Hargittai, István; Hargittai, Magdolna (2002). Candid science II: conversations with famous biomedical scientists (Verschiedene Aufl. ed.). London: Imperial College Press. pp. 73–83. ISBN 1-86094-288-1. ↑ Smith, Michael (1993). "Michael Smith – Biographical". Nobelprize.org. Retrieved 15 October 2015. My only prizes from the Sunday School were "for attendance", so I presume my atheism, which developed when I left home to attend university, although latent, was discernible. ↑ Wysong, Randy L. (1976). The creation-evolution controversy (7th print ed.). Midlanding, Michigan: Inquiry Press. p. 75. ISBN 978-0-918112-02-6. ↑ Ebenstein, Lanny (2007). Milton Friedman a biography (1st ed.). New York: Palgrave Macmillan. p. 9. ISBN 978-0-230-60345-5. ↑ Elzinga, Kenneth G.; Givens, Matthew R. (Spring 2009). "Christianity and Hayek". Faith & Economics (53): 53–68. ↑ Nasar, Sylvia (2012). A Beautiful Mind (Reprint ed.). Faber & Faber. p. 64. ISBN 978-0-571-26607-4. ↑ Palfrey, Judith S. (2006). Child health in America : making a difference through advocacy (Online-Ausg. ed.). Baltimore: Johns Hopkins University. p. 123. ISBN 978-0-8018-8453-5. ↑ Hunter Crowther-Heyck (2005). Herbert A. Simon: The Bounds of Reason in Modern America. JHU Press. p. 22. ISBN 9780801880254. His secular, scientific values came well before he was old enough to make such calculating career decisions. For example, while still in middle school, Simon wrote a letter to the editor of the Milwaukee Journal defending the civil liberties of atheists, and by high school he was "certain" that he was "religiously an atheist," a conviction that never wavered. ↑ Cronin, Anthony (1999). 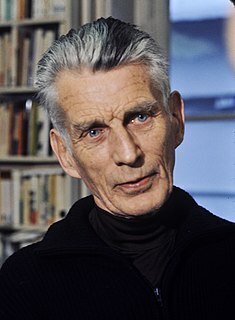 Samuel Beckett : the last modernist (1st Da Capo Press ed.). New York: Da Capo Press. p. 90. ISBN 978-0-306-80898-2. They were both agnostics, though both set a high associative value on the language in which the traditional religions of their forebears had been expressed, and in conversation and writing were not averse to ironic reference to certain metaphysical concepts. ↑ Paulson, Arthur C. (1930). "Bjørnson and the Norwegian-Americans, 1880–81". Studies and Records. Norwegian-American Historical Association. 5: 84–109. Retrieved 15 October 2015. 1 2 3 4 Barker, Dan (2011). The good atheist : living a purpose-filled life without God. Berkeley, CA: Ulysses Press. ISBN 978-1-56975-846-5. ↑ Maze, John Robert (2010). Albert Camus : plague and terror, priest and atheist. Bern: Peter Lang. ISBN 978-3-0343-0006-3. ↑ Behan, Tom (2000). Dario Fo : revolutionary theatre. London: Pluto. p. 103. ISBN 978-0-7453-1362-7. ↑ Bazin, Nancy Topping, ed. (1990). Conversationwith Nadine Gordimer. London: University Press of Mississippi. p. 151. ISBN 978-0-87805-445-9. ↑ Gao Xingjian (2000). "Nobel Lecture – Literature 2000". Nobelprize.org, The Official Web Site of the Nobel Prize . Retrieved March 24, 2012. … I would like to say that despite my being an atheist I have always shown reverence for the unknowable. ↑ Feinstein, Adam (2008). Pablo neruda. Bloomsbury Publishing USA. pp. 36, 38, 97. ISBN 978-1-59691-781-1. ↑ Diggins, John Patrick (2007). Eugene O'Neill's America desire under democracy. Chicago: University of Chicago Press. p. 130. ISBN 978-0-226-14882-3. O'Neill, an agnostic and an anarchist, maintained little hope in religion or politics and saw institutions not serving to preserve liberty but standing in the way of the birth of true freedom. ↑ Sartre, Jean-Paul (1985). Existentialism and human emotions (1st Carol Pub. Group ed.). New York: Philosophical Library. p. 15. ISBN 978-0-8065-0902-0. ↑ "Wole Soyinka". Academy of Achievement. Washington D.C. Archived from the original on 20 December 2013. Retrieved 20 December 2013. ↑ Wole Soyinka (2007). Climate of Fear: The Quest for Dignity in a Dehumanized World. Random House LLC. p. 119. ISBN 978-0-307-43082-3. I already had certain agnostic tendencies—which would later develop into outright atheistic convictions— so it was not that I believed in any kind of divine protection. ↑ Beegel, Susan F.; Shillinglaw, Susan; Tiffney, Jr., Wesley N. (2007). Steinbeck and the Environment Interdisciplinary Approaches. Tuscaloosa: University of Alabama Press. p. 159. ISBN 978-0-8173-5487-9. ↑ Eberstadt, Fernanda (18 June 2010). "José Saramago, Nobel Prize-Winning Portuguese Writer, Dies at 87". The New York Times. Retrieved 15 October 2015. ↑ Ceadel, Martin (2009). Living the great illusion : Sir Norman Angell, 1872–1967. Oxford: Oxford University Press. p. 22. ISBN 978-0-19-957116-1. ↑ Gorelik, Gennady; Antonina W. Bouis (2005). The World of Andrei Sakharov: A Russian Physicist's Path to Freedom. Oxford University Press. p. 356. ISBN 978-0-19-515620-1. Apparently Sakharov did not need to delve any deeper into it for a long time, remaining a totally nonmilitant atheist with an open heart. ↑ Gorelik, Gennadiĭ Efimovich; Antonina W. Bouis (2005). The World of Andrei Sakharov: A Russian Physicist's Path to Freedom. Oxford University Press. p. 158. ISBN 978-0-19-515620-1 . Retrieved 27 May 2012. Sakharov was not invited to this seminar. 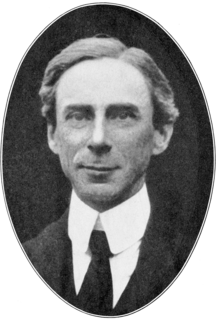 Like most of the physicists of his generation, he was an atheist. ↑ Todd K. Shackelford; Viviana A. Weekes-Shackelford, eds. (2012). The Oxford Handbook of Evolutionary Perspectives on Violence, Homicide, and War. Oxford University Press. p. 465. ISBN 978-0-19-973840-3. The Soviet dissident most responsible for defeating communism, Andrei Sakharov, was an atheist. ↑ Wiesel, Elie Wiesel (2010). And the sea is never full memoirs 1969- (Unabridged ed.). New York: Alfred Knopf. p. 318. ISBN 978-0-307-76409-6. ↑ "Prominent Russians: Zhores Alferov". RT.com. Retrieved 21 April 2012. In public life the scientist is a strong supporter of communism, an atheist strongly objecting to advancement of religious education in Russia, and proponent of science and knowledge as the means to see a better future. ↑ "Zhores I. Alferov". NNDB.com. Retrieved 21 April 2012. ↑ Anderson, Philip W. (2011). More and different notes from a thoughtful curmudgeon. Singapore: World Scientific. p. 177. ISBN 9789814350143. We atheists can . . . argue that, with the modern revolution in attitudes toward homosexuals, we have become the only group that may not reveal itself in normal social discourse. ↑ Brian, Dennis (2008). The Voice of Genius: Conversations with Nobel Scientists and Other Luminaries. Basic Books. p. 117. ISBN 978-0-465-01139-1. ↑ Nye, Mary Jo (2008). "Blackett, Patrick Maynard Stuart". In Gillispie, Charles Coulston. Complete dictionary of scientific biography. 19. Detroit, Mich.: Charles Scribner's Sons. p. 293. ISBN 978-0-684-31559-1. The grandson of a vicar on his father’s side, Blackett respected religious observances that were established social customs, but described himself as agnostic or atheist. ↑ Peterson, Richard (2010). "The Copenhagen spirit of science and birth of the nuclear atom". In Stewart, Melville Y. Science and religion in dialogue. Oxford: Wiley-Blackwell. p. 416. ISBN 978-1-4443-1736-7. ... after a youth of confirming faith Bohr himself was a non-believer. ↑ Favrholdt, David (1994). "Niels Bohr and realism". In Faye, Jan; Folse, Henry J. Niels Bohr and Contemporary Philosophy. Dordrecht: Springer Netherlands. p. 88. ISBN 9789401581066. Planck was religious and had a firm belief in God; Bohr was not, but his objection to Planck's view had no anti-religious motive. ↑ "Percy Williams Bridgman". NNDB.com. Retrieved 24 April 2012. He was raised in the Congregational Church, but faith in God clashed with his well-known analytical nature and he told his family as a young man that he could not in good conscience become a church member. ↑ Maila L. Walter (1990). Science and Cultural Crisis: An Intellectual Biography of Percy Williams Bridgman (1882–1961). Stanford University Press. pp. 14–15. ISBN 978-0-8047-1796-0. Raymond Bridgman was extremely disappointed with his son's rejection of his religious views. Near the end of his life, however, he offered a conciliatory interpretation that allowed him to accept Percy's commitment to honesty and integrity as a moral equivalent to religion. ↑ Ray Monk (2013). Robert Oppenheimer: A Life Inside the Center. Random House LLC. ISBN 978-0-385-50413-3. In many ways they were opposites; Kemble, the theorist, was a devout Christian, while Bridgman, the experimentalist, was a strident atheist. ↑ Vishveshwara, C. V. (April 2000). "Leaves from an unwritten diary: S. Chandrasekhar, Reminiscences and Reflections" (PDF). Current Science. 78 (8): 1025–1033. Retrieved 16 October 2015. In his later years, Chandra had openly admitted to being an atheist which also meant that he subscribed to no religion in the customary sense of the word. ↑ Dukas, Helen; Hoffmann, Banesh, eds. (1989). Albert Einstein, the human side : new glimpses from his archives. Princeton, NJ: Princeton Univ. Press. p. 43. ISBN 978-0-691-02368-7. It was, of course, a lie what you read about my religious convictions, a lie which is being systematically repeated. I do not believe in a personal God and I have never denied this but have expressed it clearly. If something is in me which can be called religious then it is the unbounded admiration for the structure of the world so far as our science can reveal it. 1 2 3 Calaprice, Alice, ed. (2000). The expanded quotable Einstein (New ed.). Princeton, NJ: Princeton University Press. ISBN 978-0-691-07021-6. ↑ Dowbiggin, Ian (2003). A merciful end the Euthanasia movement in modern America. Oxford, England: Oxford University Press. p. 41. ISBN 9780198035152. ↑ Frankenberry, Nancy K. (2008). The faith of scientists in their own words. Princeton: Princeton University Press. p. 153. ISBN 978-0-691-13487-1. ↑ "Val Fitch". NNDB.com. Retrieved 18 July 2012. ↑ Nachmansohn, David (1979). German-Jewish pioneers in science, 1900–1933. Berlin, Heidelberg: Springer. p. 62. ISBN 978-0-387-90402-3. As he said, science was his God and nature his religion. He did not insist that his daughters attend religious instruction classes (Religionsunterricht) in school. But he was very proud of his Jewish heritage..
↑ Wouk, Herman (2010). The language God talks on science and religion (1st ed.). New York, NY: Little, Brown and Co. p. 17. ISBN 978-0-316-09675-1. ↑ Vitaly Ginzburg (2003). "Vitaly L. Ginzburg – Autobiography". Nobelprize.org, The Official Web Site of the Nobel Prize . Retrieved March 24, 2012. I am an atheist, that is, I think nothing exists except and beyond nature. Within the limits of my, undoubtedly insufficient knowledge of the history of philosophy, I do not see in fact any difference between atheism and the pantheism of Spinoza. ↑ Victor M. Amela (June 20, 2017). "Sheldon Glashow, Nobel Prize in physics for the electroweak theory" (PDF). La Contra - La Vanguardia. Retrieved 8 October 2018. I am a practising atheist. ↑ Sample, Ian (17 November 2007). "The god of small things". London: The Guardian. Retrieved 21 March 2013. The name has stuck, but makes Higgs wince and raises the hackles of other theorists. "I wish he hadn't done it," he says. "I have to explain to people it was a joke. I'm an atheist, but I have an uneasy feeling that playing around with names like that could be unnecessarily offensive to people who are religious." ↑ Schaefer, Henry F. (2008). Science and Christianity : conflict or coherence?. Athens, Ga.: University of Georgia. p. 9. ISBN 0-9742975-0-X. I present here two examples of notable atheists. The first is Lev Landau, the most brilliant Soviet physicist of the twentieth century. ↑ Babu Gogineni (July 10, 2012). "It's the Atheist Particle, actually". Postnoon News. Archived from the original on 11 July 2012. Retrieved 10 July 2012. Leon Lederman is himself an atheist and he regrets the term, and Peter Higgs who is an atheist too, has expressed his displeasure, but the damage has been done! ↑ Barrow, John D. (2000). The book of nothing : vacuums, voids, and the latest ideas about the origins of the universe (1st Vintage Books ed.). New York: Vintage Books. p. 136. ISBN 978-0-375-72609-5. ↑ Eremoenko, Alexey (9 October 2014). "Q&A: Russian Nobel Laureate on Fun, God and the 'Ideal Physicist'". The Moscow Times. Retrieved 16 February 2016. ↑ Diem-Lane, Andrea (2008). Spooky Physics: Einstein vs. Bohr. MSAC Philosophy Group. p. 68. ISBN 978-1-56543-080-8. In terms of religion, Schrodinger fits in the atheist camp. He even lost a marriage proposal to his love, Felicie Krauss, not only due to his social status but his lack of religious affiliation. He was known as a freethinker who did not believe in god. ↑ Ginzburg, V. L. (2005). About Science, Myself and Others. CRC Press. p. 253. ISBN 978-0-7503-0992-9. Nowadays, when we are facing manifestations of religious and. more often, pseudoreligious feelings, it is appropriate to mention that Igor Evgenevich was a convinced and unreserved atheist. ↑ Feinberg, E. L. & Leonidov, A. V. (2011). Physicists: Epoch and Personalities (2 ed.). World Scientific. p. 86. ISBN 9789812834164. ↑ Azpurua, Ana Elena (March 24, 2008). "In Search of the God Particle". Newsweek. p. 3. Retrieved March 25, 2008. I don't believe in God, but I don't make a religion out of not believing in God. I don't organize my life around that. ↑ Carrol, Rory. "Kip Thorne: physicist studying time travel tapped for Hollywood film". ↑ Robert W. Baloh. "Robert Bárány and the controversy surrounding his discovery of the caloric reaction". Neurology.org. Retrieved 14 May 2012. Although anti-Semitism was again on the rise in Austria, it is unlikely that anti-Semitism was a factor in the hostility toward Bárány because he was an agnostic who did not believe in Zionism. ↑ "J. Michael Bishop". NNDB.com. Retrieved 18 July 2012. ↑ Crick, Francis (1988). What mad pursuit : a personal view of scientific discovery. New York: Basic Books. p. 10. ISBN 0-465-09138-5. ↑ Crick, Francis (3–5 February 1990). "How I Got Inclined Towards Atheism". Atheist Centre 1940–1990 Golden Jubilee International Conference Souvenir. Vijayawada, India: Positive Atheism. Archived from the original on 21 May 2012. Retrieved 15 October 2015. ↑ Steyn, Mark (October 2004). "The Twentieth-Century Darwin". The Atlantic Monthly . ↑ Siegel, Ralph M.; Callaway, Edward M. (2004). "Francis Crick's Legacy for Neuroscience: Between the α and the Ω". PLoS Biology. 2 (12): e419. doi:10.1371/journal.pbio.0020419. PMC 535570 . PMID 17593891. Francis Crick was an evangelical atheist. ↑ Highfield, Roger (20 Mar 2003). "Do our genes reveal the hand of God?". The Telegraph. Retrieved 15 October 2015. Crick, 86, said: "The god hypothesis is rather discredited." ↑ Ruse, Michael. "Life Evolving: Molecules, Mind, and Meaning by Christian de Duve (Introductory essay)". The International Society for Science and Religion library project. Retrieved 15 October 2015. ↑ Trevor Illtyd Williams (1984). Howard Florey, Penicillin and After. Oxford University Press. p. 363. ISBN 978-0-19-858173-4. As an agnostic, the chapel services meant nothing to Florey but, unlike some contemporary scientists, he was not aggressive in his disbelief. ↑ Paolo Mazzarello; Henry A. Buchtel; Aldo Badiani (1999). The hidden structure: a scientific biography of Camillo Golgi. Oxford University Press. p. 34. ISBN 978-0-19-852444-1. It was probably during this period that Golgi became agnostic (or even frankly atheistic), remaining for the rest of his life completely alien to the religious experience. ↑ "Frederick Hopkins". NNDB.com. Retrieved 18 July 2012. ↑ Jacob, The Statue Within, pp 20–57. Quotes from pp 42 and 53. ↑ Medawar, Peter (1996). The strange case of the spotted mice and other classic essays on science (5th ed.). Oxford: Oxford Univ. Press. pp. 207–211. ISBN 978-0-19-286193-1. ↑ Lubbock, Richard. "Peaks, Dust, & Dappled Spots". Books in Canada: The Canadian Review of Books. Retrieved 15 October 2015. In his final chapter de Duve turns to the meaning of life, and considers the ideas of two contrasting Frenchmen: a priest, Teilhard de Chardin, and an existentialist and atheist, Jacques Monod. ↑ Tauber, Alfred I.; Chernyak, Leon (1991). Metchnikoff and the Origins of Immunology : From Metaphor to Theory: From Metaphor to Theory. Oxford University Press. p. 5. ISBN 978-0-19-534510-0. ... his personal religious commitment was to atheism, although he received strict Christian religious training at home. Metchnikoff's atheism smacked of religious fervor in the embrace of rationalism and science. ↑ Costantino Ceoldo (2012-12-31). "Homage to Rita Levi Montalcini" . Retrieved 20 July 2013. Born and raised in a Sephardic Jewish family in which culture and love of learning were categorical imperatives, she abandoned religion and embraced atheism. ↑ Nurse, Paul (2001). "Sir Paul Nurse – Biographical". Nobelprize.org. Retrieved 15 October 2015. I gradually slipped away from religion over several years and became an atheist or to be more philosophically correct, a sceptical agnostic. ↑ Windholz, George (September 1986). "Pavlov's Religious Orientation". Journal for the Scientific Study of Religion. 25 (3): 320. doi:10.2307/1386296. JSTOR 1386296. Pavlov's follower E.M. Kreps asked him whether he was religious. Kreps writes that Pavlov smiled and replied: "Listen, good fellow, in regard to [claims of] my religiosity, my belief in God, my church attendance, there is no truth in it; it is sheer fantasy. I was a seminarian, and like the majority of seminarians, I became an unbeliever, an atheist in my school years." ↑ Reville, William (April 20, 2006). "A bright journey to atheism, or a road that ignores all the signs?". The Irish Times. Retrieved 15 October 2015. ↑ "John E. Sulston". NNDB. Soylent Communications. Retrieved 21 April 2014. ↑ "Albert Szent-Györgyi". NNDB.com. Retrieved 18 July 2012. ↑ Highfield, Roger (20 March 2003). "Do our genes reveal the hand of God?". The Telegraph. Retrieved 15 October 2015.